Our clients received multiple offers within a matter of days on this completely updated 2 bedroom, 2 bath condo in Lauderdale! 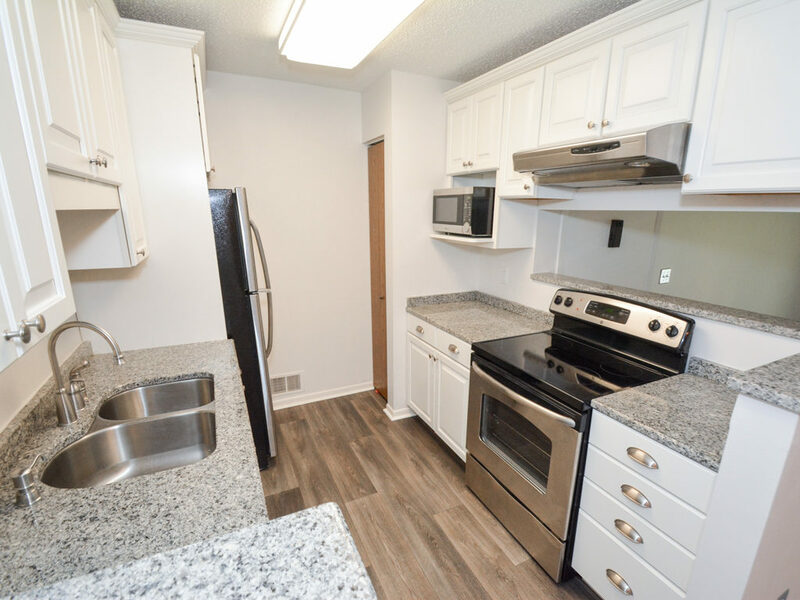 This condo features a renovated kitchen with granite countertops, stainless steel appliances, gleaming white cabinetry and tons of storage. The entire condo features new paint and carpet in every room! An open floor plan, complete with a spacious living room, balcony, and wood burning fireplace is ideal for easy living and entertaining. Our clients are delighted, especially since this is our second transaction with them. We helped them sell their home in Grant, MN a few years ago. With our superior marketing, our clients received an offer within 24 hours on that home! John and Becky Durham are top selling realtors in the East Twin Cities suburbs. If you are considering buying or selling a home, they can help you make your real estate dream come true. John and Becky work with home buyers and sellers in all price points and stages of life, from first time home buyers to downsizing seniors, from affordable condos like this one, to luxury properties and lake homes. Contact John and Becky today!